PING All-America and All-District teams for NJCAA Division I were announced by the Golf Coaches Association of America. Eastern Wyoming College sophomore Trey Massey, Lander, WY, was named to the Second Team of the NJCAA Division I PING All-America Team. Freshman golfer Gonzalo Arcelay, Munguia, Spain, was named to the Honorable Mention team. Three Lancers were recognized on the NJCAA Division I PING All-District teams, district I. Those making the team were Arcelay, Massey, and freshman George Elliott, Salisbury, United Kingdom. 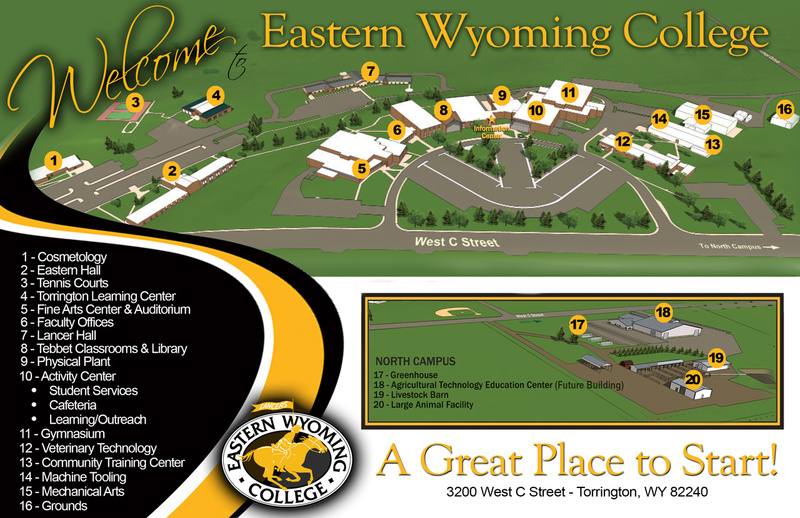 Eastern Wyoming College is inviting all students or prospective students interested in enrolling for the Fall 2018 semester to attend a registration day on Friday, August 3 at the Douglas Campus and the main campus in Torrington. Attendees will take the appropriate placement exams, meet with an advisor, meet with a representative from Financial Aid and register for the fall semester. Students are encouraged to sign up to attend. Students interested in attending at the Douglas Campus can contact the campus at 307.624.7000. Students interested in attending at the Torrington Campus can contact the college at 307.532.8230. This registration event will begin at 9 am on the 3rd. For more information or to answer any questions, please call or stop by the Douglas Campus at 800 South Wind River Drive, Douglas or call 307.624.7000. The Torrington Campus is located at 3200 West C Street in Torrington or call 307.532.8230. Night courses will begin on Monday, August 27th with all other classes beginning on Tuesday, August 28th. Students can enroll into this certificate or AAS degree program today. Contact the main campus at 307.532.8200 or stop by 3200 West C Street in Torrington, WY. Financial aid and scholarships are available. The Eastern Wyoming College Foundation hosted its 28th annual golf tournament and Calcutta on June 16th at the Cottonwood Country Club. This year there were 32 teams. Winning the 2018 tournament was the team of Craig Fullmer, Pat Blacker, Mike Fullmer, and Ben Jackson. Second place went to the team of Ken and Jane Betschart, Scott Anderson, and Tom Slusher. In third place was the team of Tom, Kay, and Toby Gardner, and Jim Miller.